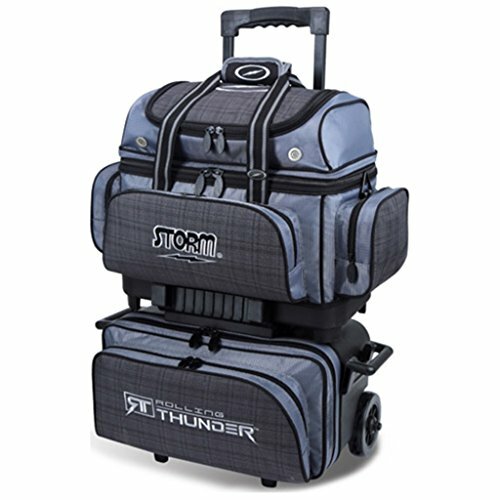 Storm continues their high tech bowling bag line with the Rolling Thunder 4 ball roller Charcoal plaid/grey/black. This bag contains lots of high performance features such as 3 high tech wheels a locking, telescopic handle with grip release and everything in-between. Storm thought of everything with this bag including a detachable 2 ball tote that can be used independently of the rest of the bag.